Flooding is a prominent issue in Melbourne’s Elizabeth Street Catchment. The area is highly urbanised, so sealed surfaces and buildings prevent rainwater from soaking into the soil. Water collects in drains and gutters and when these are full, it floods onto roads and footpaths. The area most affected by flooding is around Flinders Street Station, one of the busiest areas in Melbourne’s central city. We are responding to the flood risk by increasing permeability at the top of the catchment, in Carlton and North Melbourne. This approach is detailed in our Elizabeth Street Integrated Water Cycle Management Plan, and includes a range of project that will increase permeability. The Carlton Squares stormwater harvesting system is a key project that will help to hold water in the top of the catchment and reduce flood risk at the bottom of the catchment. The system will be located in Lincoln Square and University Square, capturing stormwater runoff from urban surfaces and storing it in underground tanks. We are currently in the design phase of this project, following a round of initial conversation with stakeholders and community in early 2015. 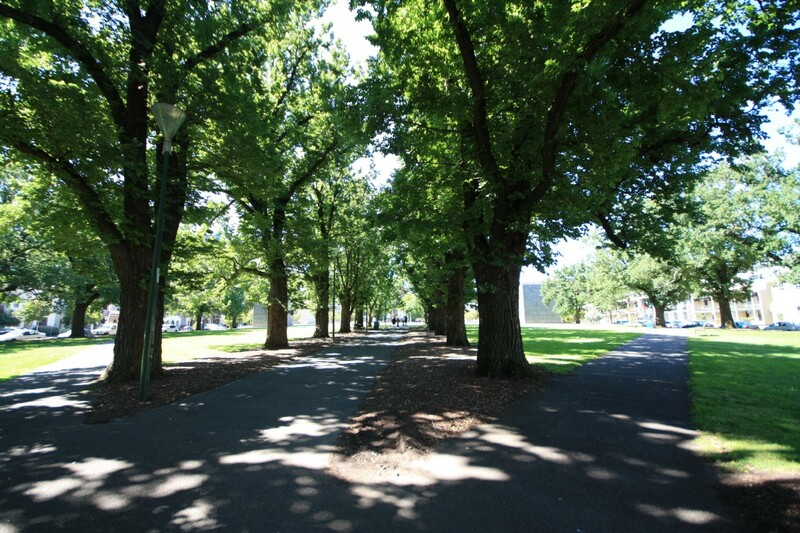 In coming months, you will be able to provide your ideas on the concept designs for the redevelopment of University Square via there Participate Melbourne website.